Who runs the world? According to Queen Beyoncé, it's girls! And Mikaela Ulmer, an 11-year-old entrepreneur extraordinaire, is going to run the world with this super-sweet story. When Ulmer was four years old, she was stung by a bee. Twice. Although she was scared, she was also intrigued and began researching bees. And this smart little girl learned that they are on the verge of extinction. "I learned all about what they do for me and our ecosystem," she said on her product's website. "So then I thought, what if I make something that helps honeybees and uses my Great Granny Helen's recipe?" Thus, the flaxseed-based lemonade BeeSweet was born. 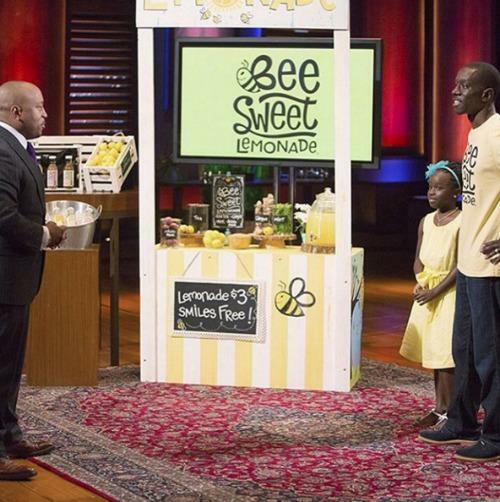 Last year, Ulmer appeared on Shark Tank, where she introduced BeeSweet. The bee-friendly product caught the attention of FUBU CEO Daymond John, who invested $60,000 and a 25 percent stake in the product. Ulmer continues to be a success with her lemonade, and takes part in workshops to educate people about honeybees and how to save them. She also donates part of the profits to organizations that save honeybees. And the story gets even sweeter. 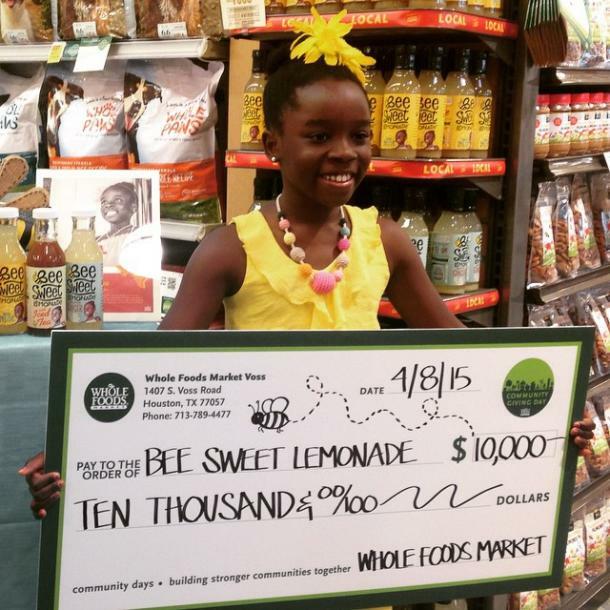 Recently, she landed a deal with Whole Foods, who will be distributing the lemonade to 55 different locations. So, be(e) sure to pick up a bottle and help save the bees.